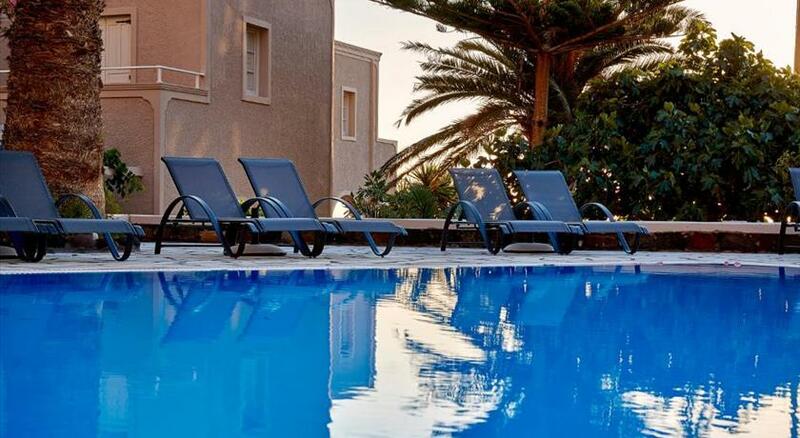 This hotel lies on the south-east coast of Santorini Island in the lively and cosmopolitan seaside resort of Kamari . 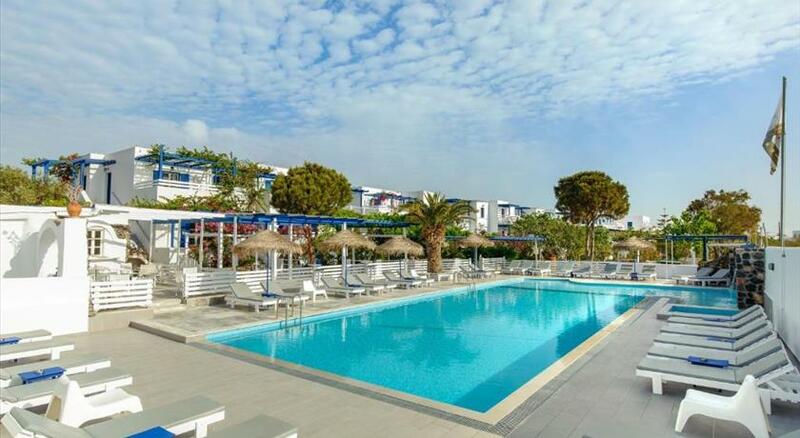 Hotel Makarios offers a wealth of facilities to keep the whole family entertained, including children’s swimming pool and children’s playground. While the kids are kept entertained you can enjoy a game of tennis or simply relax in the outdoor hot tub . 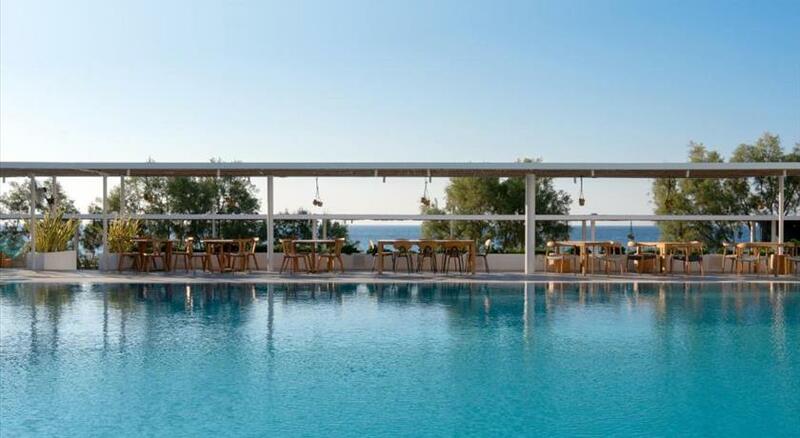 Kamari Beach offers an array of water sport activities, beach bars, tavernas, boutiques and shops. Shaped in a crescent moon, Kamari Beach is sheltered and protected on either side by dark volcanic rock. An attractive stone-paved promenade road runs parallel between the seafront shops and the long dark-sand beach, inviting one to take a pleasant evening stroll as the sunset colours glow in the sky. All children are welcome. All children under 2 years stay free of charge for children's cots/cribs. All children under 4 years stay free of charge for extra beds. The maximum number of children's cots/cribs in a room is 1. The maximum number of extra beds in a room is 1. Please inform Makarios Hotel in advance of your expected arrival time. You can use the Special Requests box when booking, or contact the property directly with the contact details provided in your confirmation.